Is The Internet Linked To Welsh Suicides? 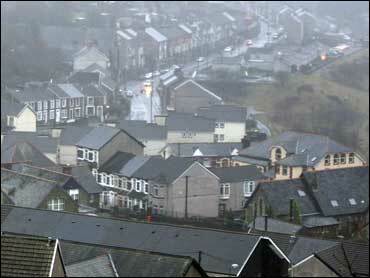 A small town in Wales is dealing with a string of suicides that some believe is Internet-related. CBS News correspondent Richard Roth reports that the latest victim was 17-year-old Natasha Randall; she hanged herself in the bedroom of her home in Blaengarw. It is the seventh such tragic death in Wales this year - at least six young men, who shared some link, have also taken their own lives. Some of the seven were casual acquaintances; they all used Internet chat rooms or a social networking site called Beebo. They also all lived within a few miles of each other. But police say neither the Internet sites nor any other shared connection explains the cluster of suicides. In Bridgend, a former coal-mining town of 40,000, authorities are now re-examining a total of 13 suicides in the past year by people under age 30. "There does seem to be an increase in the suicide rate particularly recently," said Darren Matthews of Bridgend Samaritans. "We have seen a number of suicides of quite young people. It is very difficult." Police have said there's no proof any of the victims were driven to suicide as a result of Internet conversations, though when three boys in Northern Ireland killed themselves last year, a psychologist there said the Internet sites they had frequented may have been influential. Dr. Arthur Cassidy told the BBC he believed the victims and friends in County Armagh were linked by a suicide pact. "They seemed to have played a salient aspect as far as we know but we have to be cautious because we simply can't deny that they don't play a part," he said. The parents of 15-year-old Leah Phillips are desperate to know what's going on. Their teenager just barely survived a suicide attempt this week when she was dicovered hanging from a dressing gown cord. A neighbor, Andrew Grzywaczewski helped save Leah's life by cutting the cord tied around her neck as her stepfather held her off the ground. The 30-year-old then gave Leah mouth-to-mouth resuscitation until she began breathing again. "If I could understand why she done it, maybe she could try help save another child," Tina Phillips said. But Leah's simply told them she doesn't know why she tried to take her own life.